A bombshell has landed in your lap: you’ve been diagnosed with type 1 diabetes. It’s a lot to take in. The doctors say you need to inject insulin every day to stay alive from now on in. You need to prick your fingers regularly to keep tabs on how much glucose is in your blood. You need to carry something sugary with you EVERYWHERE you go. They’ve warned of the risks of not taking enough or too much insulin. You’ll be walking a tightrope between high and low blood sugars for the rest of your life. These are the essentials. Now you need some good news. Rather, you have a type of type 1 that’s unique to you. Your metabolism, hormonal cycle, diet, lifestyle, build, liver function and myriad other factors that impact how sensitive you are to insulin and how quickly your blood sugar level changes are unique. 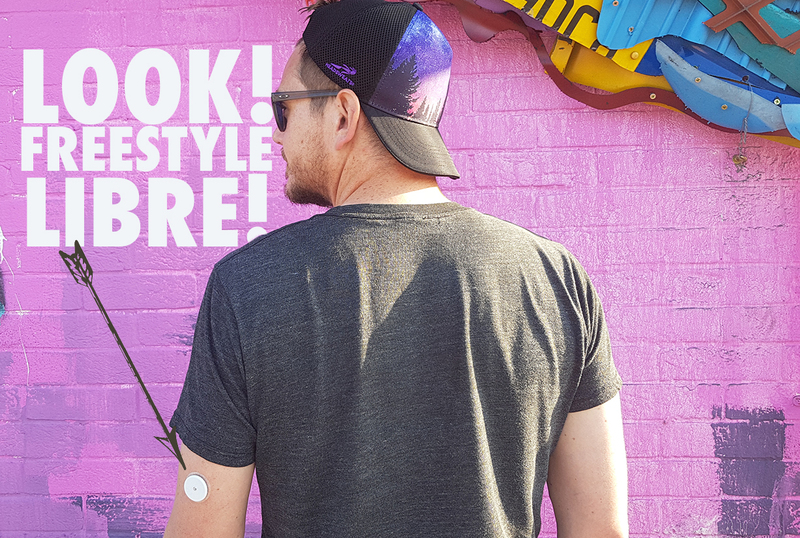 No one else has your brand of type 1. All that unites us type 1s is that our beta cells no longer produce insulin; the function of some type ones’ alpha cells (which produce glucogon, the hormone that stimulates the liver to release its glucose stores when needed) can also be affected, for example. All this means, effectively, that managing this condition ultimately rests with you. I know that sounds daunting. But it’s also empowering, because no one knows you like you do. You can learn how your blood sugar responds to the myriad factors that affect it better than any doctor. For 27 years, the only way I could get a picture of how well (or not) I was controlling my blood sugar was by pricking my finger and depositing a globule of blood on a test strip. My reader would give me a number, but no indication of what direction my blood sugar level was going in. Controlling my levels was, at best, educated guesswork combining carb counting, finger pricks and blind faith. The technological advances that have been made in the past few years are breathtaking. I now use a Freestyle Libre sensor in my arm (see picture below), which I monitor by scanning with my mobile phone; not only does it give me a reading for the amount of glucose swilling around my intertissual fluid at that moment in time, it tells me what my levels have been for the past eight hours and indicates what direction they are going in. The multiple insulin injections I have to take every day – second guessing the variable rates of absorption of the two types types of insulin I’m on, the efficacy of different injection sites and many other factors – will soon be in the past when I am prescribed an Omnipod insulin pump; it will drip feed me insulin at a rate I can adjust depending on whatever I’m doing and allow me to top up my dose when I eat. It won’t be a new pancreas, but it’s a damn sight closer to having one than crossing your fingers and injecting insulin several times a day. With companies like Ayuda Heuristics developing artificial intelligence applications to take the guess work out of managing diabetes and closed loop pump systems linked to continuous glucose monitors and smart insulin in development, the future has never looked brighter for type one diabetics. 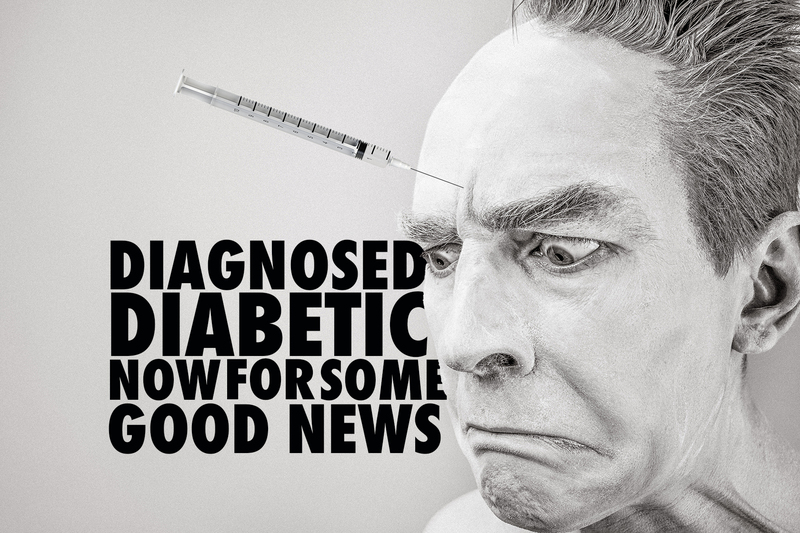 Just think, before 1922, when insulin was first used to treat diabetes, diagnosis was a death sentence. We have charities such as Diabetes UK and JDRF to thank for helping make these advances available on the NHS here in the UK. Both organisations are campaigning for diabetics and helping to fund medical advances which mean we can live longer, happier, more fulfilled lives. That’s why I’m running the Marathon des Sables 2019 in support of both charities (and T1International – see below). Please support them if you can. Here’s my Just Giving page. Half of the world’s type one diabetics live in parts of the world without adequate access to insulin and other vital supplies such as blood glucose and ketone strips. So if you live in a European country, such as the UK or other EU nations where such lifesaving supplies are free at the point of use, you are incredibly lucky. In some parts of Africa, children aren’t expected to survive six months after diagnosis with type one diabetes. Even in the US, where the price of insulin has more than tripled in a decade, diabetics without adequate insurance are dying because they cannot afford the insulin they need to keep them alive. See below for a video I made about the challenges faced by diabetics around the world dealing with their condition, and why I am supporting T1International. This was one of the biggest wake up calls on seeing my daily patterns after beginning using the Freestyle Libre. Every morning at about 5am, my blood glucose starts rising, despite the fact that nothing has usually passed my lips since the night before and I don’t typically get up until 7am, at which the point it can have spiked at 12mmol or more (it sometimes hits the high teens). 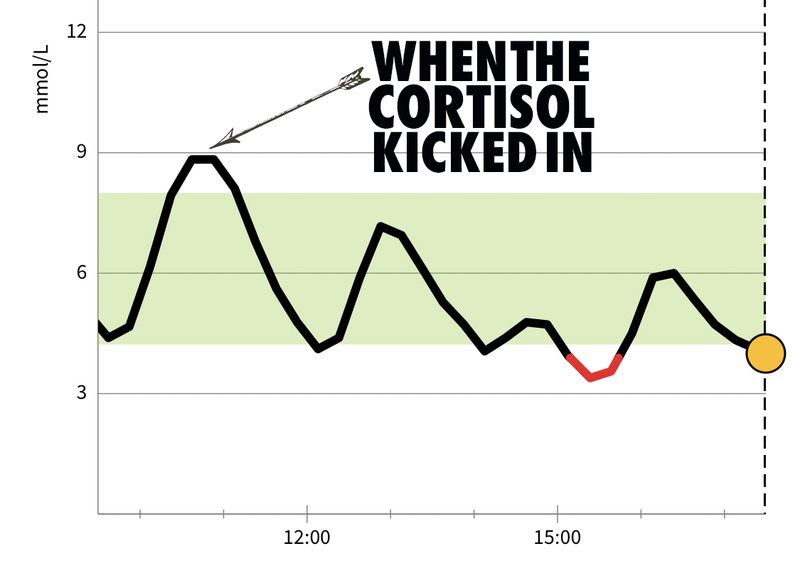 There could be several causes of this (for example, if your blood dips overnight it can subsequently spike as a result of your liver releasing glucose into your system) but in my case the most likely explanation is cortisol. The so called ‘stress hormone’ plays a pivotal role in waking us up in the morning and can result in blood sugar levels rising – to prepare the body for the exertions of the day, it prompts the liver to begin releasing glucose into our bloodstream to give us energy. To counteract this, I give myself more insulin in the morning than the rest of the day. Other hormones can also impact blood sugar levels. At times of stress I can get a spike as a result of adrenaline and women can see a reduction in insulin sensitivity during menstruation (I’ll leave that one there). The impact on blood sugar of stress can be difficult to predict. See below for the surprising affect jumping out of a plane at 15,000 ft (and the excesses of the night before) had on my blood sugar. You will become an expert in your own diabetes as you get to grips with the ebb and flow of your metabolism, hormones, insulin sensitivity and so on. You will probably also find, over time, that you know more about how the condition affects you than your GP. This means that you need to fight your corner. I’ve been told ridiculous things by doctors over the years – to test my blood no more than five times a day, for example; to take glucose ‘just in case’ when I’ve been unable to test my blood; the list goes on – so at times you need to trust your own judgment. You need to fight your own corner when it comes to getting the right medication and supplies. It’s taken more than two years to be considered for an insulin pump and I would never have got a Freestyle Libre had I not pushed for one. Of course you need to listen to the doctors. Some of the specialists I’ve seen over the years have been amazing. But I’ve come to realise that the experience I’ve gained in living with this condition for 27 years is powerful and unique. I can use it to help myself and others. You can too. That’s got to be good news, hasn’t it? Have I missed anything? What have you learned from living with this condition? Is there anything you wished the doctors had told before when you were diagnosed? Please share! I’d love to write another post on this subject! Disclaimer: I have no medical training. I am not a doctor, a nutritionist, a physio or a sports therapist; I doubt they’d even give me job handing out oranges at half time of a football match. I am just a type-one diabetic and former fat bloke with a stupid idea. This blog is my account of following that idea to its conclusion. Do not attempt anything similar without seeking prior medical (and psychiatric) advice. ← Insulin pumps and exercise: Can Omnipod cope with Crossfit? Thank you for sharing. My diabetes wasn’t diagnosed by my then gp who were also a alternative medicines practice. Twice I was sent home with stomach upset and a prescription for a virus. I then ended up being rushed to a and e by my brother. Then a doctor did the bgl test. I had ketoacidosis. I was put into a wheelchair as I couldn’t walk to ambulance. I was rushed to ICU at Auckland hospital. Was there for two weeks. The experience was all really overwhelming. Really scary. I’m still trying my best with juggling type one. BLOWN AWAY: Thank you old friends, new friends, family, strangers, fellow runners, T1s and nutjobs for your support as I ran the Marathon des Sables, the most amazing run of my life, with 1,000 other mentalists and a dog called Cactus this week. I smashed my target, raising £3,491.39 for T1International Diabetes UK & JDRF UK. 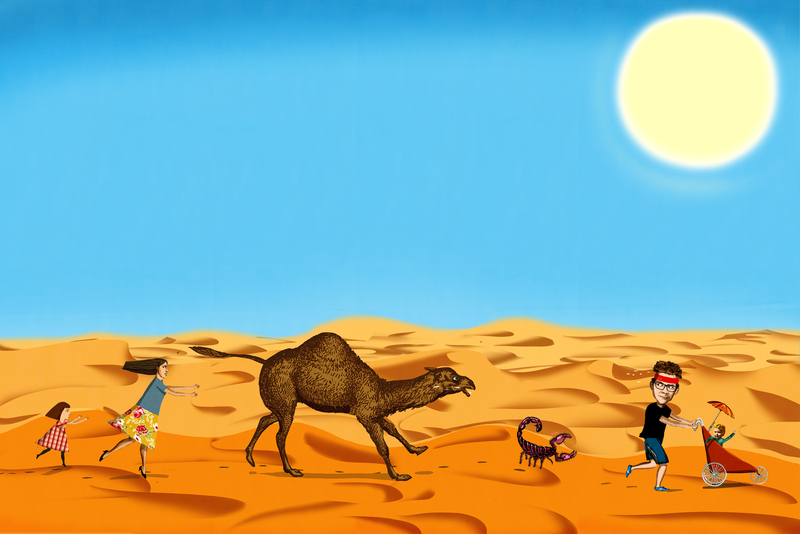 Sorry for the delay sending this - phone is taking a while to recover from the desert, as am I. Question is: what next?!?!? 14 miles into my penultimate long run before the MdS (sponsor me here! https://www.justgiving.com/teams/diabeticdadruns). Main purpose of next two days is to work out my nutrition (basically muesli, granola, dried fruit, saucisson and pork scratchings) and insulin levels to make sure I don’t start breakdancing somewhere in the Sahara in 3 weeks. So far no good - blood is sky high but coming down now at last. And the sun’s come out! Tonight I sleep in a bush on the South Downs before running home!